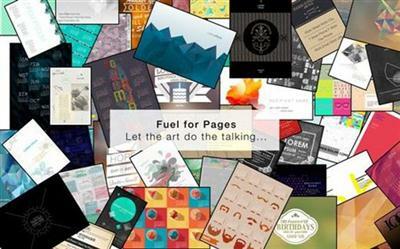 Fuel for Pages is an amazing add-on for Apple?? ?s Pages app. It provides 500 templates in 11 categories. All templates are available un US Letter and A4 sizes, except for envelopes, which come in their specific size. Paper size is selected automatically, depending on your region. Once opened in Pages you can apply your own colors, change fonts, pictures, etc.